Speedbird Promotions are delighted to unveil it’s first exclusive model for IMC Models to the UK market and what a terrific choice to launch the range with! 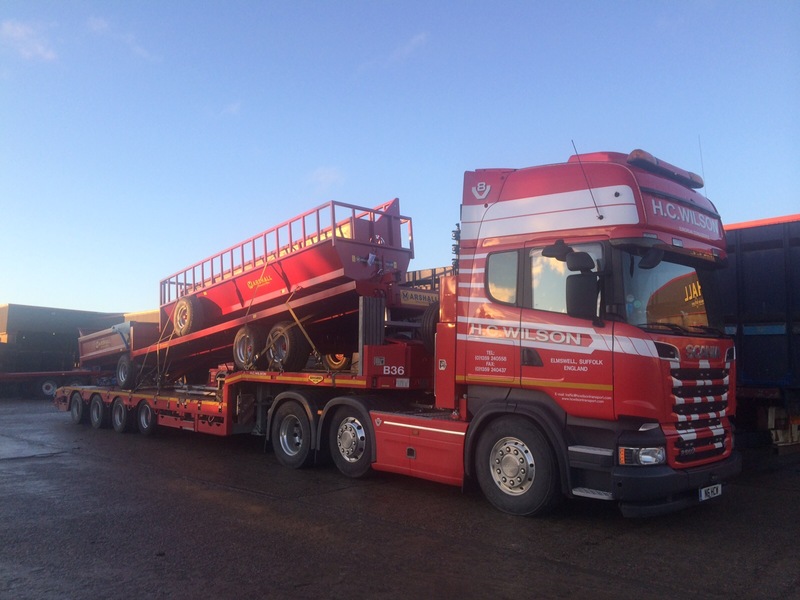 It’s been the talk of the truck forums since it’s launch onto the road two weeks ago and we are honoured to bring the Mercedes-Benz Arocs 8 x 4 with a Nooteboom 6-axle MCO-PX Lowloader in the livery of Scottish Heavy Haulage experts, West of Scotland Heavy Haulage. 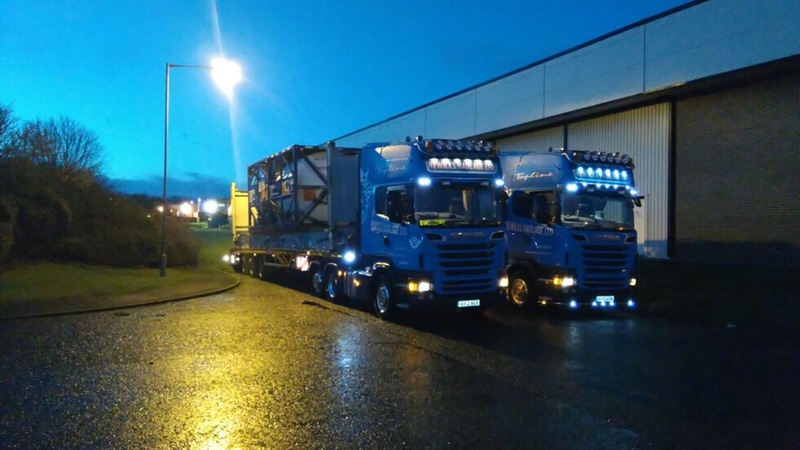 Commemorating their 70th Anniversary this year, West of Scotland Heavy Haulage decided to partner with us once again on the strength of our quality and service reputation that we delivered on through the success of the MAN TGX heavy haulage model produced last year. Just like the MAN, the model will be delivered in a specially branded West of Scotland 70th Anniversary Gift Box and accompanied with a limited edition certificate. The unique collaboration of IMC with it’s range of Nooteboom trailers in 1:50 scale and Tekno with it’s highly detailed range of tractor-units guarantees to offer collectors the ultimate combination of one of the most highly detailed heavy haulage scale models money can buy! 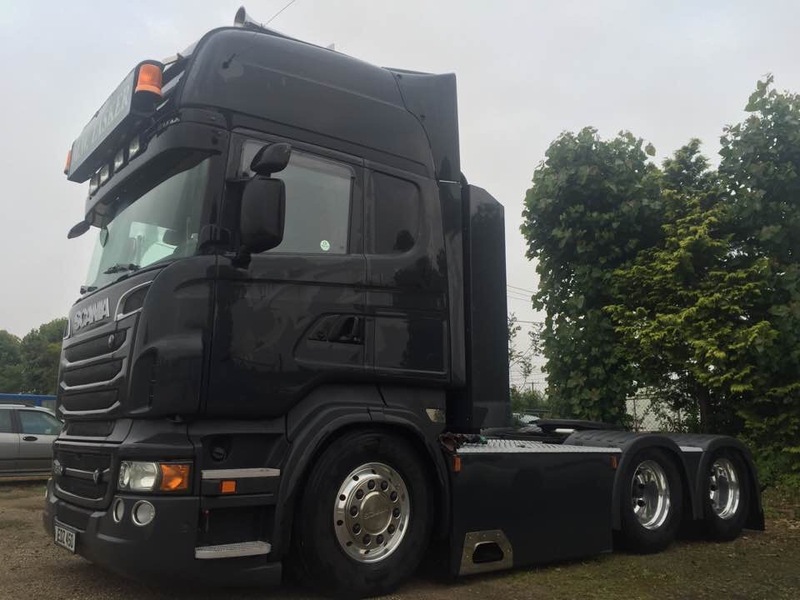 Expected release date of this model is in time for Truckfest Scotland 2016 with an estimated retail price of £159.95 including free UK delivery. We haven’t done a WW yet this year, so bows a perfect week to start this year off. 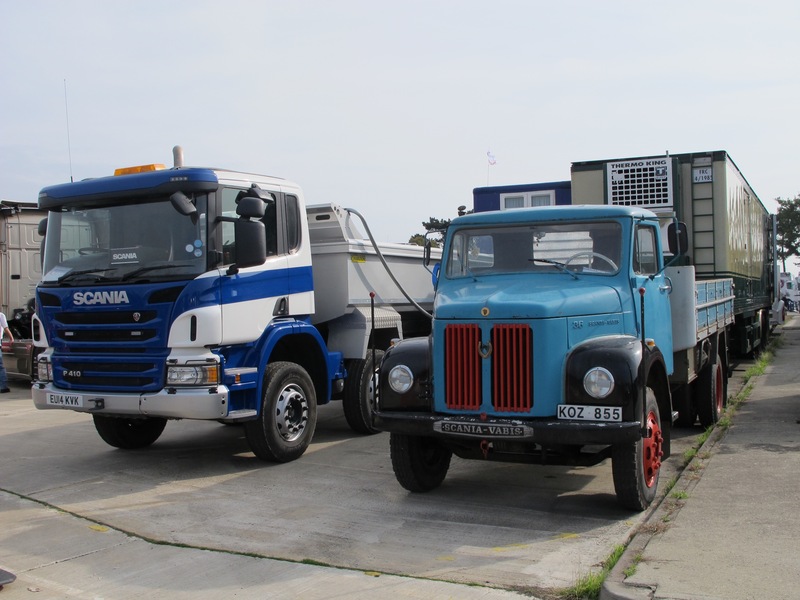 To start us off these first three photos of WIL 2580, a real workhorse of a truck. 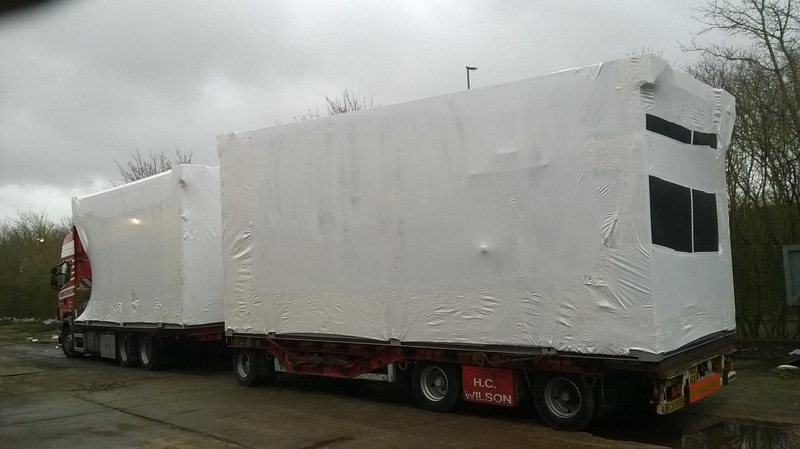 See here loaded with a 90 odd ton box loaded from the Midlands for delivery this week out to the Netherlands. To do this type of work week in week out year after year not only requires a great truck but and a great trailer and of course a great driver! Thanks John. 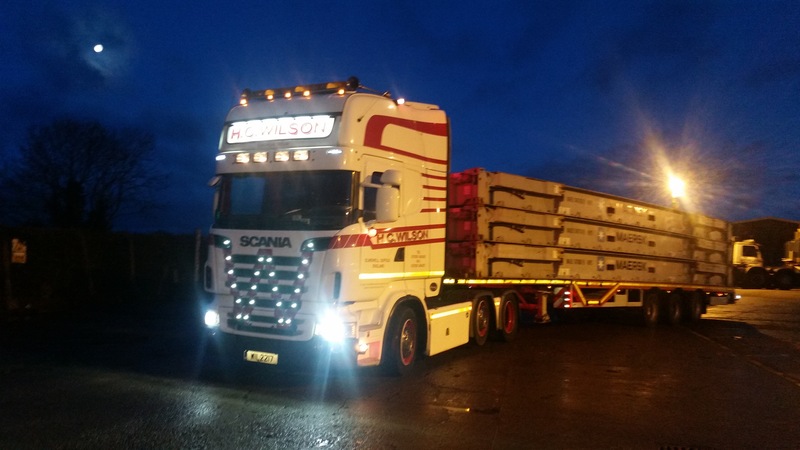 John Pryke out in WIL 2217, on locals and returning some empty flat racks back to Felixstowe docks early this morning. Followed on by office staff number 1, Graham Wilson out and about getting his hands dirty in Doris DAF. I say hands dirty I mean an urgent load that needed to be covered from Chelmsford to Ely. Still more of a load than I have done in the last 2 years! 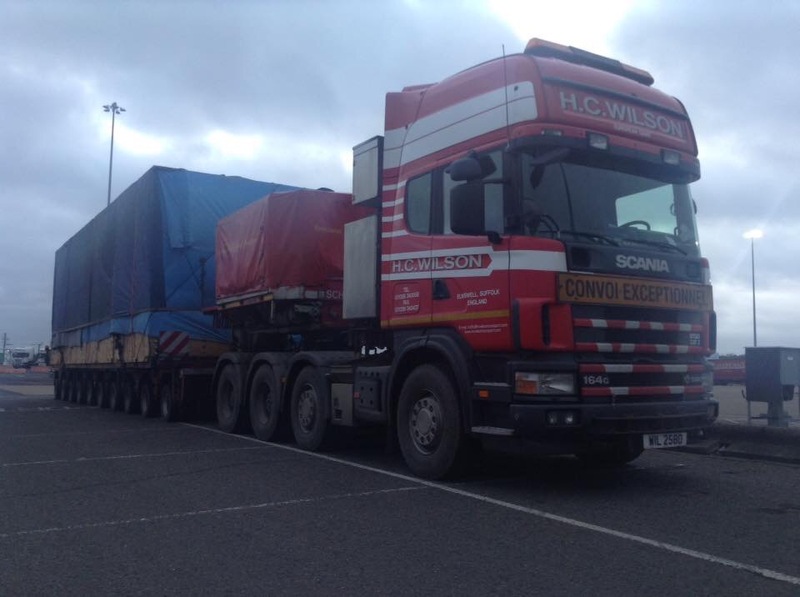 First of today’s Wilson subbies are a brace of Hewicks Haulage tidy Scania’s both pulling flat racks from Felixstowe upto the North East. 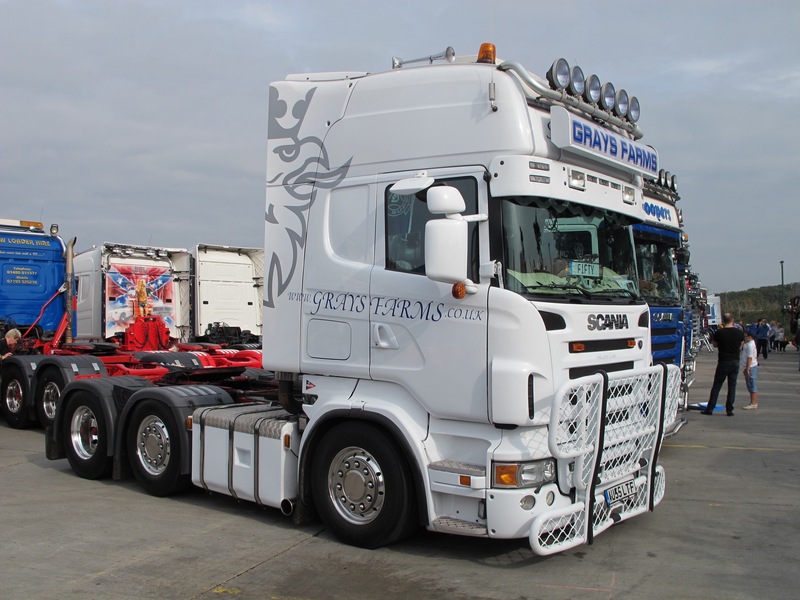 Is it true you can only be a Wilson Subbie if you drive a Scania?!? Above and below is office staff 2 also out on the road today. James Cartwright on a couple of locals. 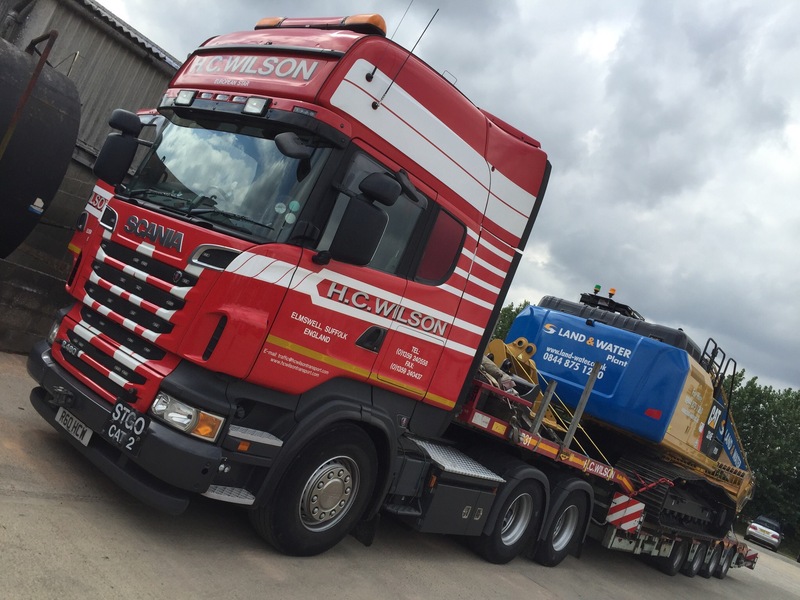 Above some loaded from the HCW yard at Elmswell upto a building site somewhere west of Norwich. 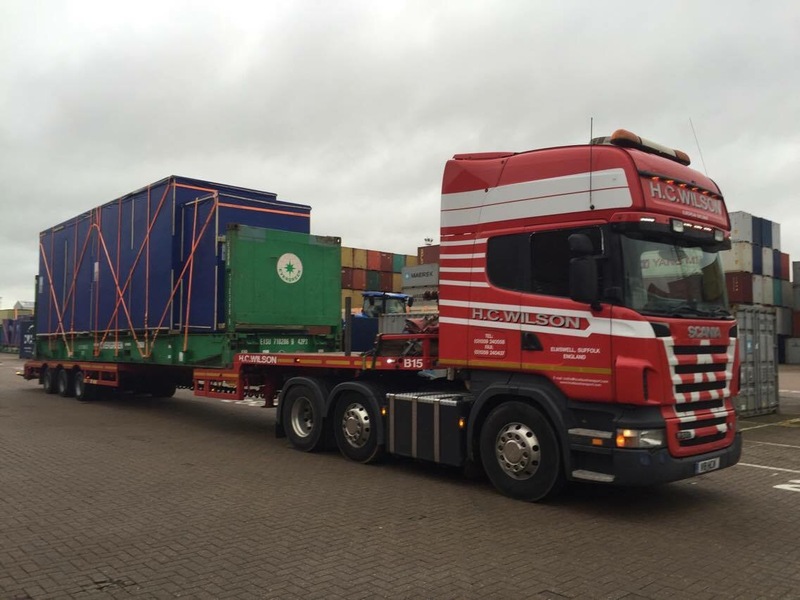 Then after lunch (photo below) reloading another flat rack from Felixstowe and back to the yard. 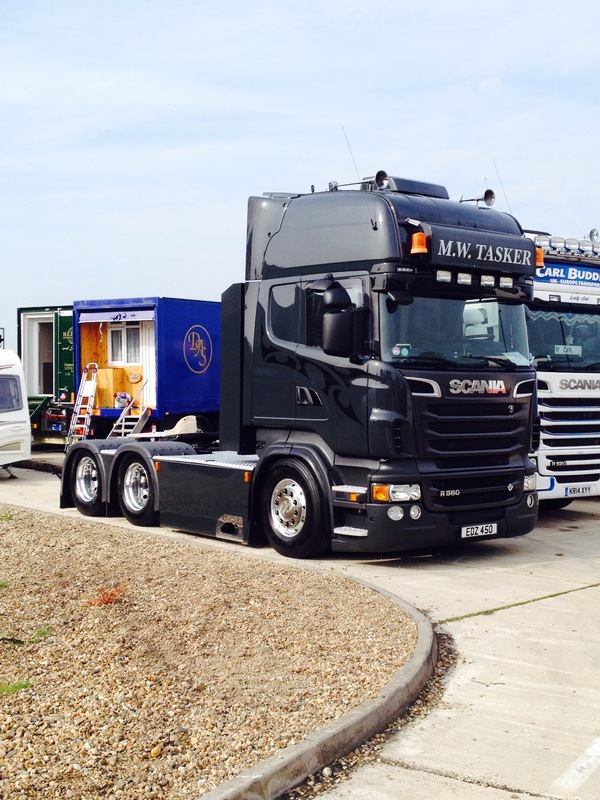 Above is N5 HCW a 150 ton Scania 8×4 tractor unit driven by husband and wife team Dave and Sue Ramm. 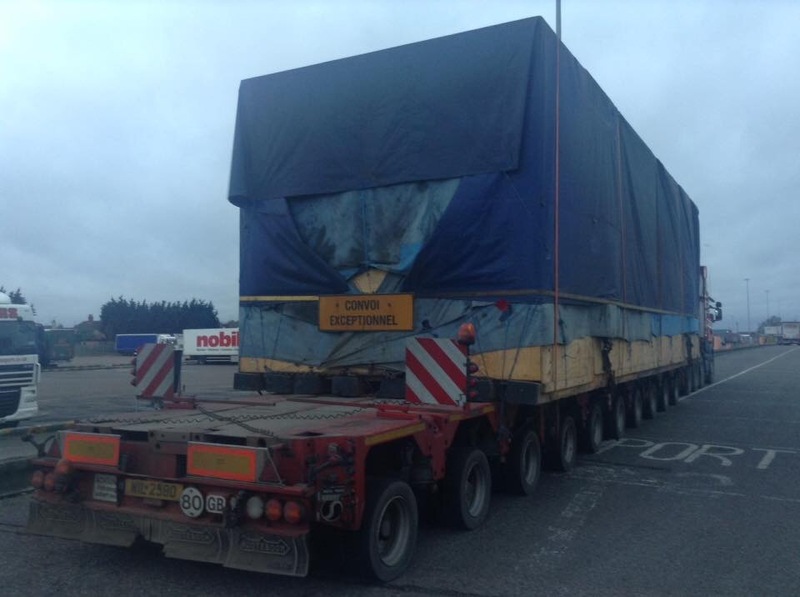 Loaded here near Liege, Belgium for delivery upto the English Scottish Borders. 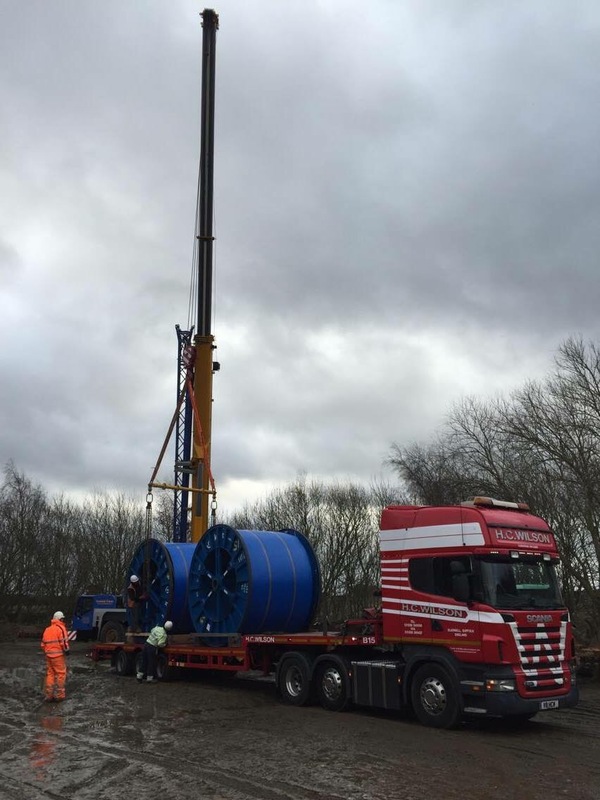 Again not an easy job when your loaded with a vehicle that measures 8.05ML x 3.00MW x 3.91MH and weighing 31t. Taking a little break from it all is the most relaxed Subbie you’ll ever meet. 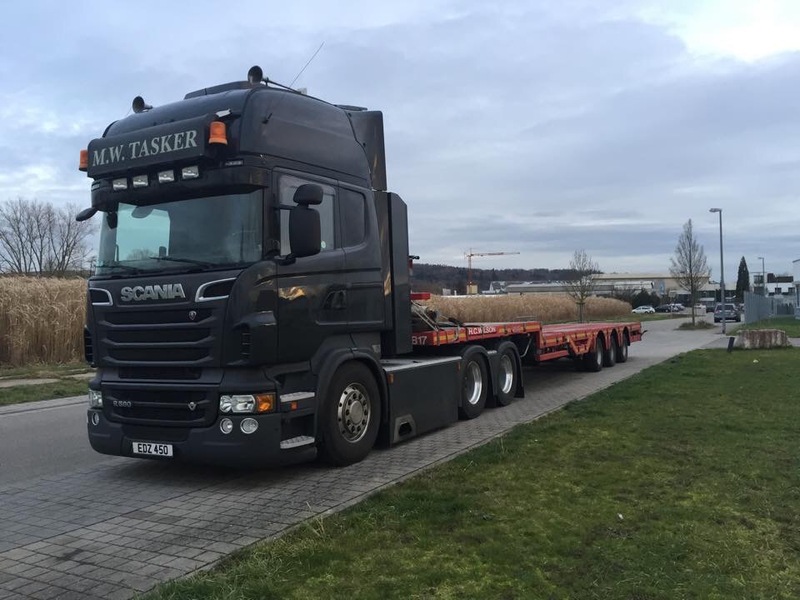 Mr Tasker is seen here today with his unique Scania parked at Zuzenhausen (20km SE of Heidelberg) in Germany waiting to reload tomorrow for the UK. Next up is N9 HCW and pilot Little Terry Alderton. 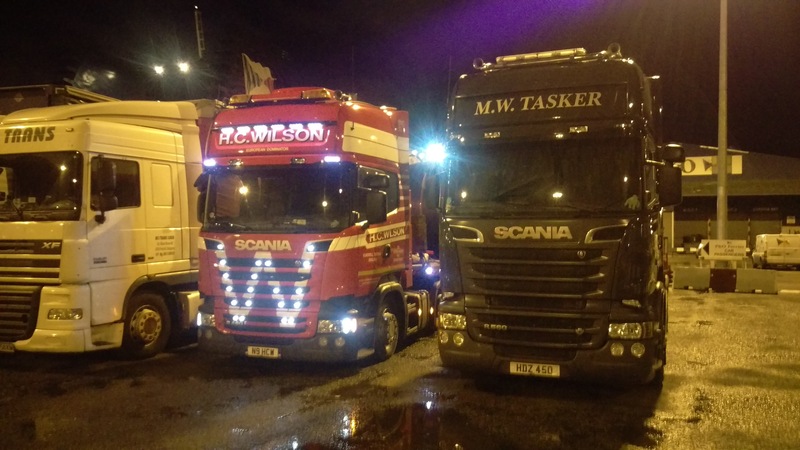 Seen here at P&O Ferries in Liverpool docks this morning, waiting for the ferry to Dublin. 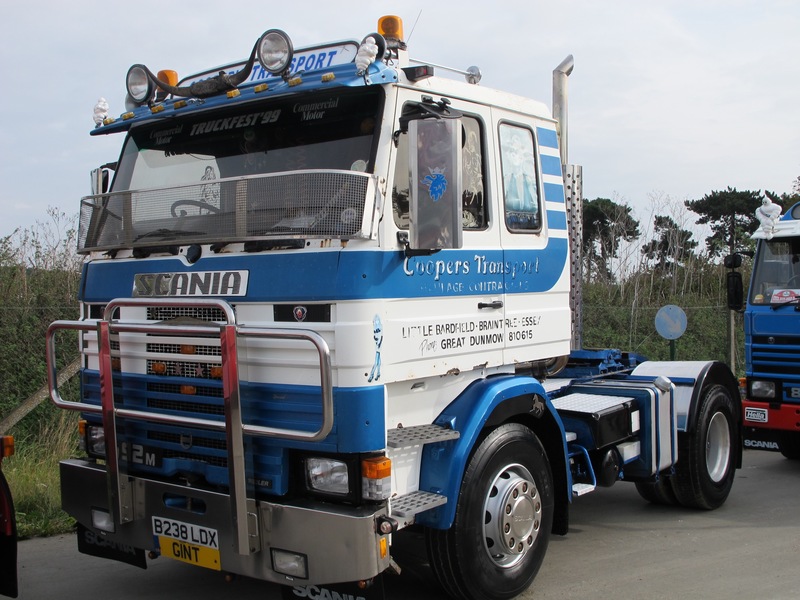 You may notice Mr Taskers second truck, driven by none other than Colin Waters. Clearly Colin wasn’t as keen to catch the ferry as Terry. Above and below is Gareth Rowlands in N6 HCW. 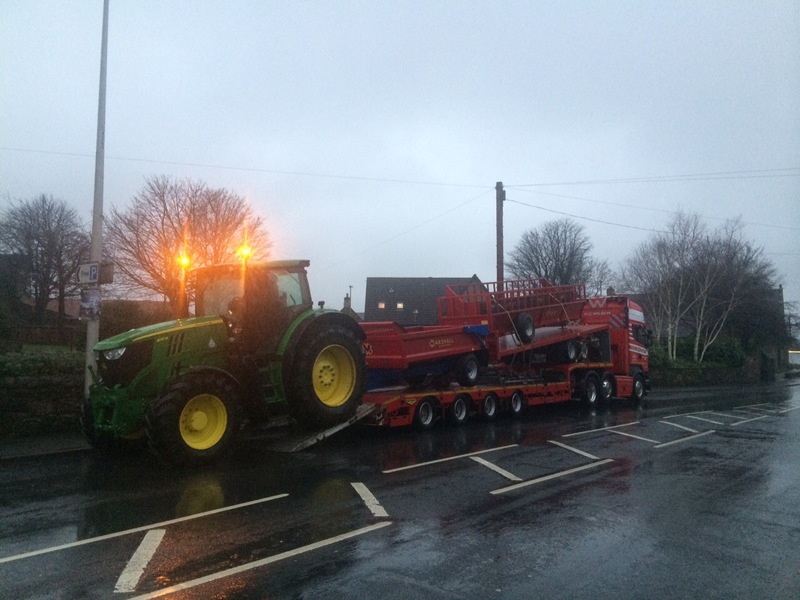 Reloaded in Aberdeen with agricultural trailers for delivery back down the east coast of England. If only all tips could be dragged off by a monster tractor! 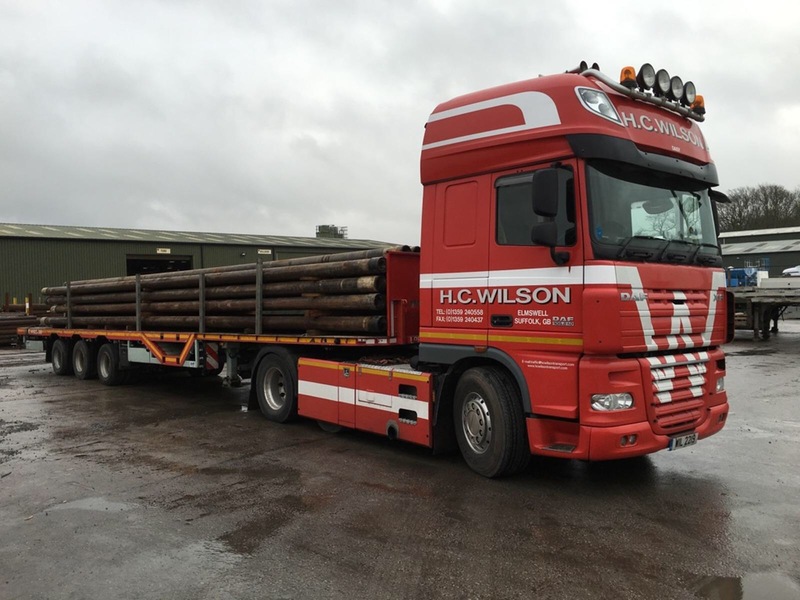 The only drawbar on the fleet at HCW is W100 HCW, an A frame drawbar that is. Driven by the man that is John Franks. Now I can happily reverse an artic trailer anywhere you tell me without much fuss but Franksy will do the same with an A frame drawbar trailer and still make it look easier. 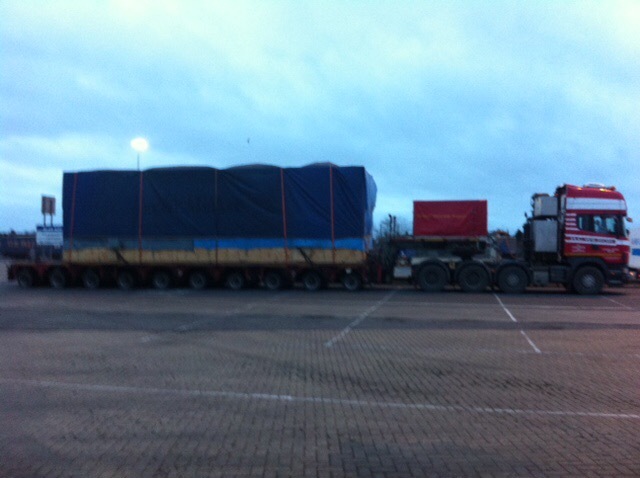 Loaded with 2.80m wide buildings in the UK for delivery today in Denmark. 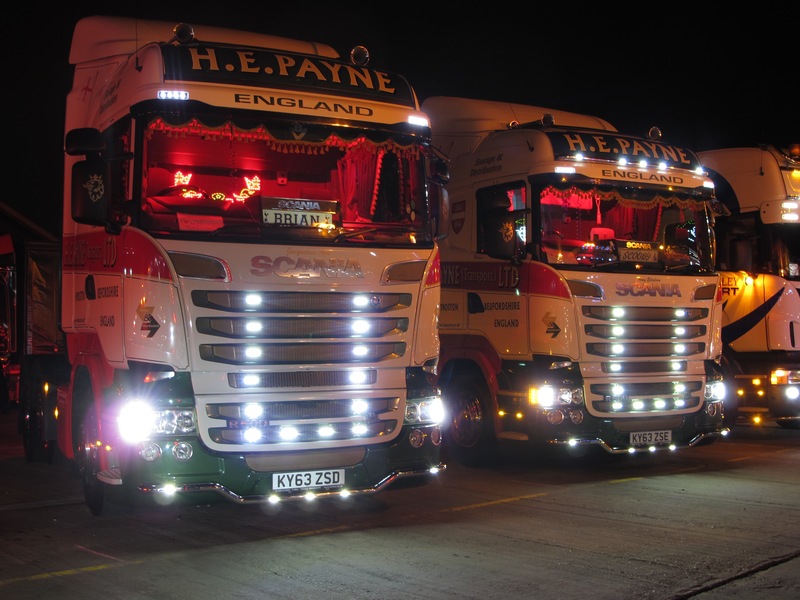 Last in today is Daisy DAF and driver Geoff. Nice to see Geoff at work, I am told he was taking a break from his holiday schedule to keep his hand in at the driving thing. At no point do I remember Judith Chalmers driving a truck so you’ve got one up on her Geoffrey!! Thanks to all drivers who got involved today, lots of good photos. I started this in good time this evening but as I am now finishing it’s almost Wilson Thursday! A little Wilson Wednesday just for a change. It was a bit of a last minute one but even so a few photos to keep you all on your toes. 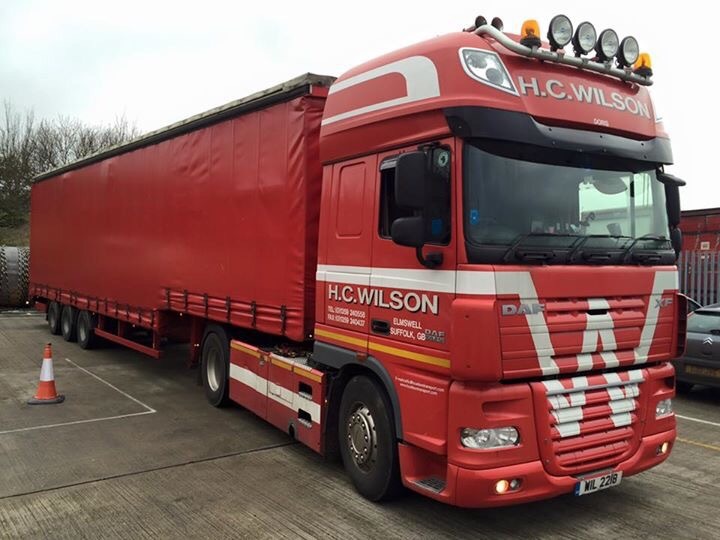 The bright red trucks of HC Wilson from Elmswell spend their weeks pounding the roads of the U.K. and Europe. 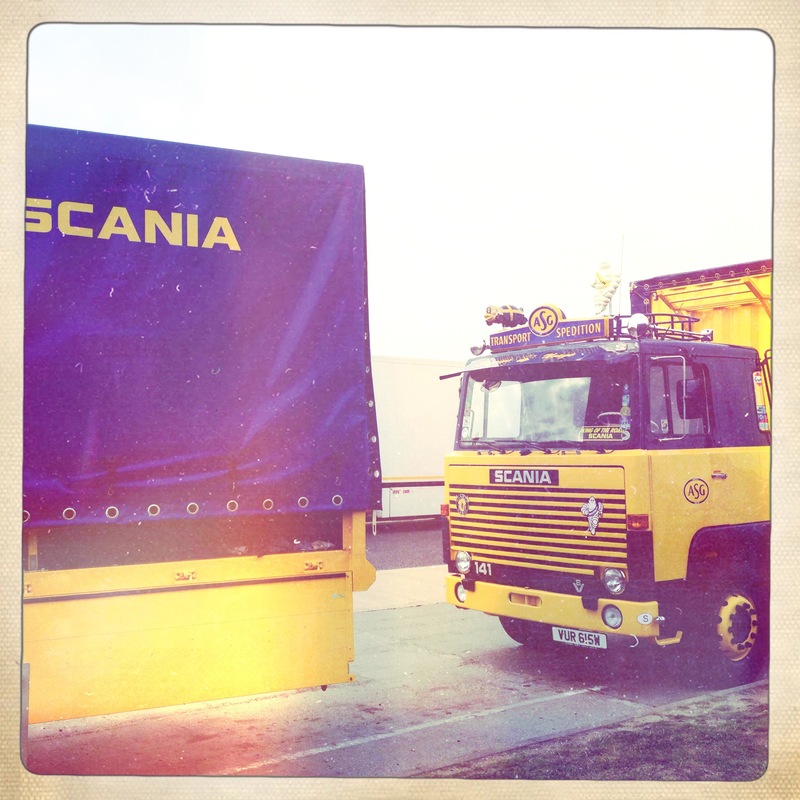 For those who might be unfamiliar to WW, it’s a feature I’ve run since I once worked for said red trucked haulier. So starting us off is a photo from one of the Wilson brothers themselves. 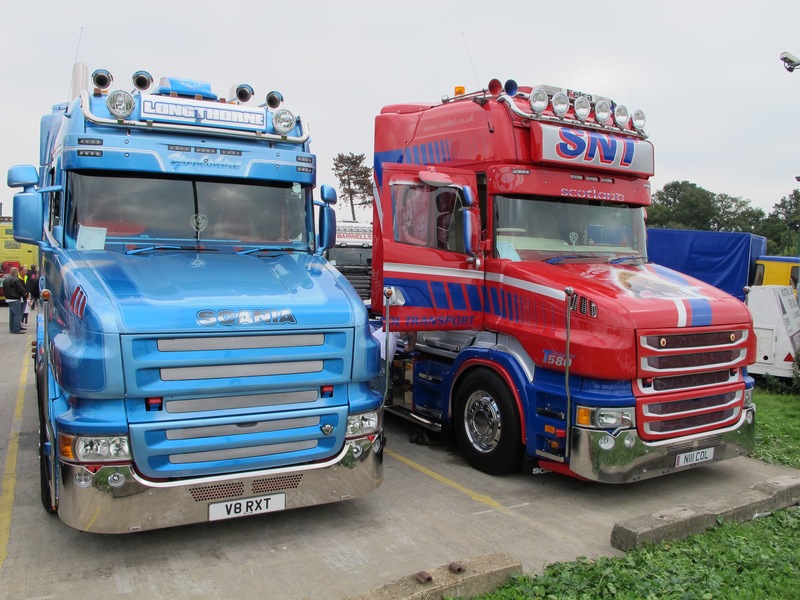 Simon Wilson is a secret truck spotter and I’m sure he has a vast collection of photos that he keeps to himself most of the time. 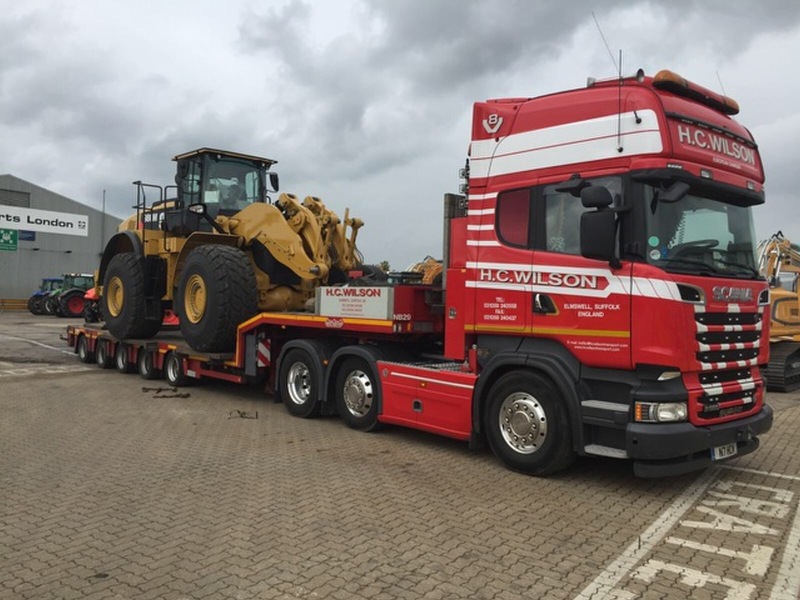 This picture is of R60 HCW loaded in the yard with a chunky-spud of an excavator. 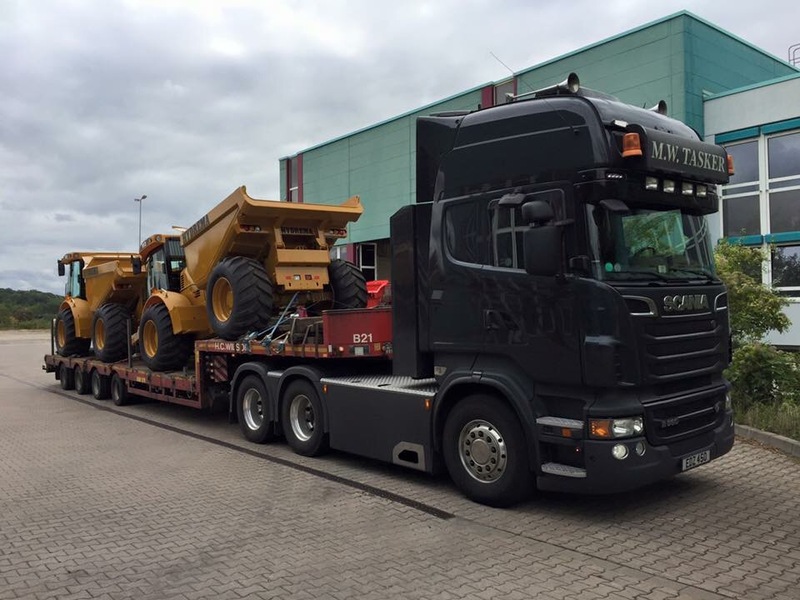 This load looks like a UK job rather than an export/import. First up on the road is driver Slim Godfrey and Doris DAF. 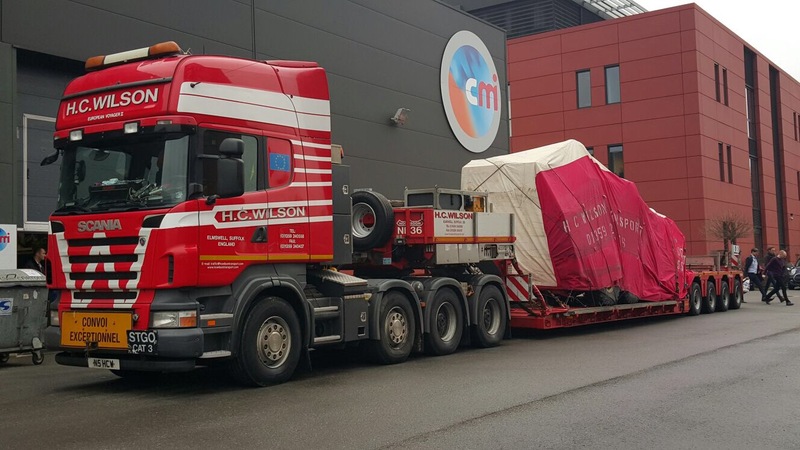 Above is the export, an extendable load out to the Netherlands and then below is today’s reload and import from Germany back to the UK. 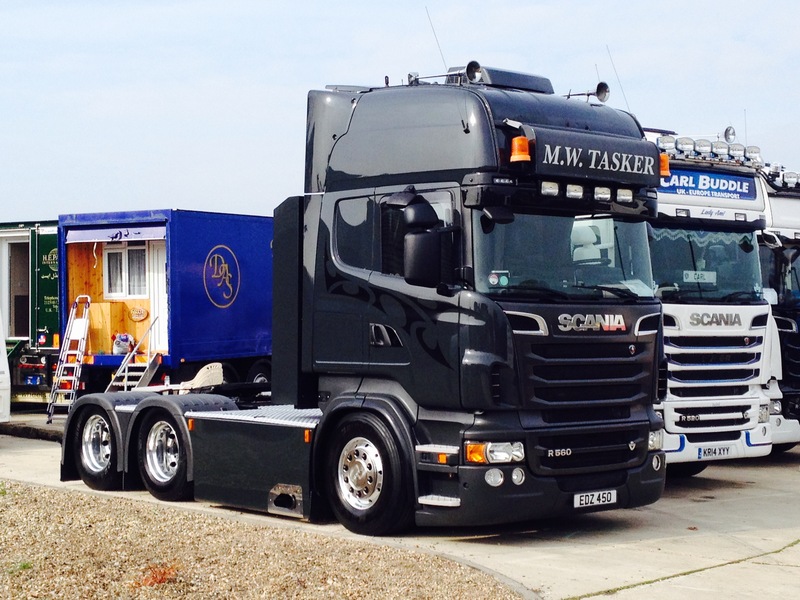 Next is top Wilson Subbie Mike Tasker and his delightful Scania R560. A true owner driver machine, all the bells, whistles and creature comforts and I would stake a claim that it is probably one of kind here in the UK. 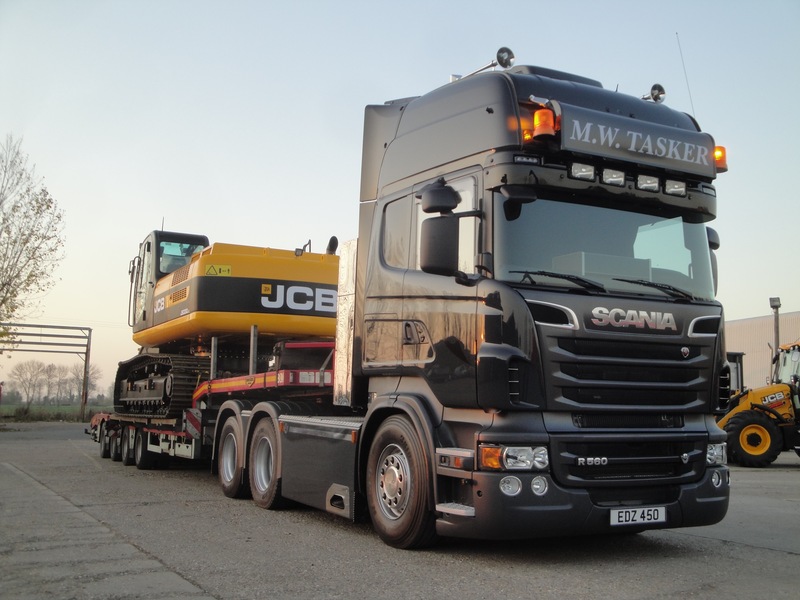 The spec list is huge and uses Scania’s vast experience of heavy transport to produce a truck that gives Mr Tasker a truck capable of any job that HC Wilson give him. 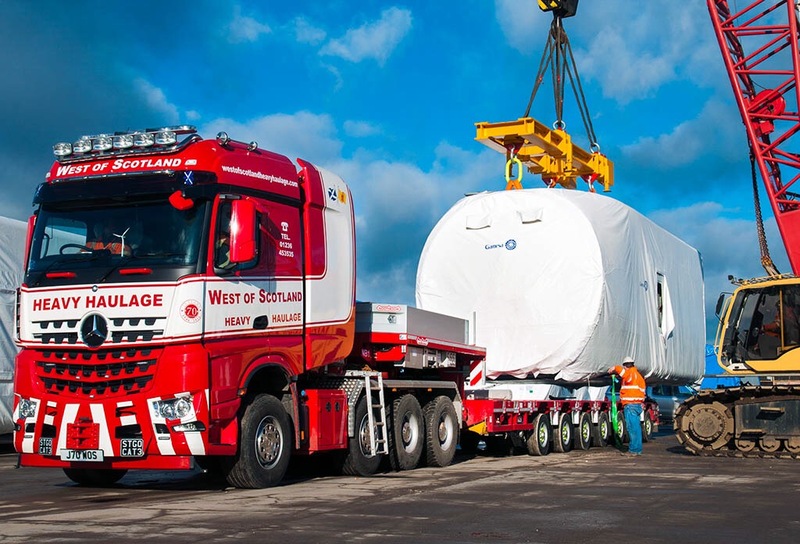 This is a fairly modest reload from the Middle East….sorry the Middle East of Germany! 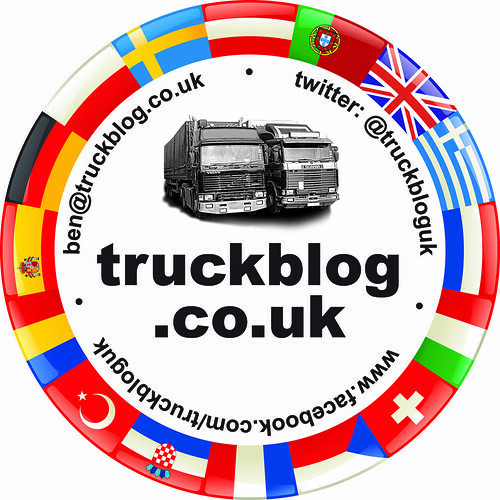 It’s not all Germany UK work, although reading this blog you could begin to think so. 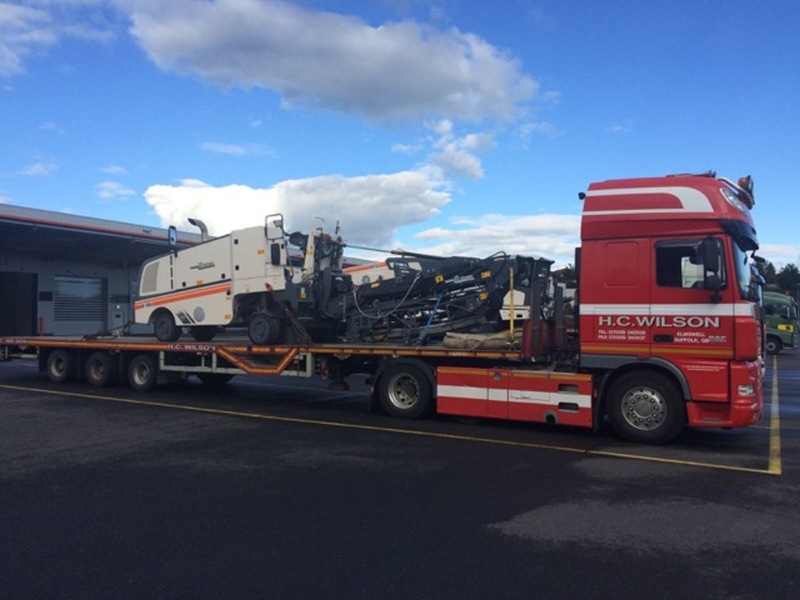 Driver Geordie and his truck, European Charger, have been on UK work today, running about delivering new CAT machines from Purfleet to Cannock. Looks a treat! Thanks to all the drivers who took part, we mustn’t leave it as long next time! !